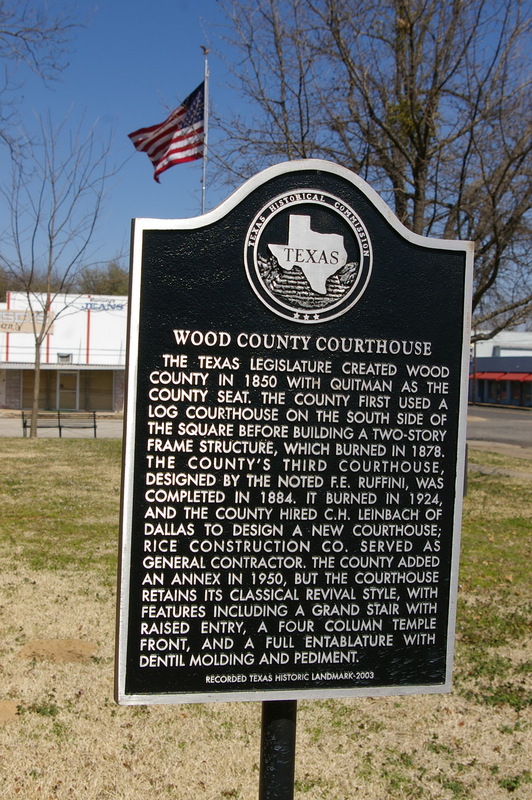 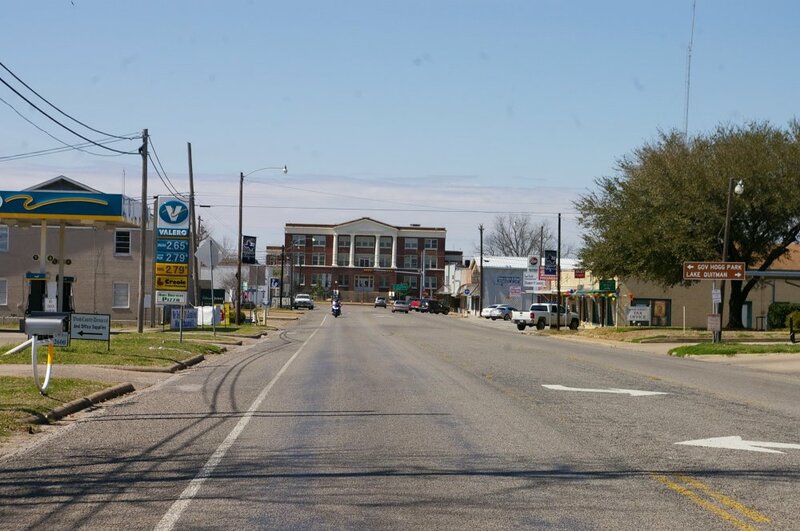 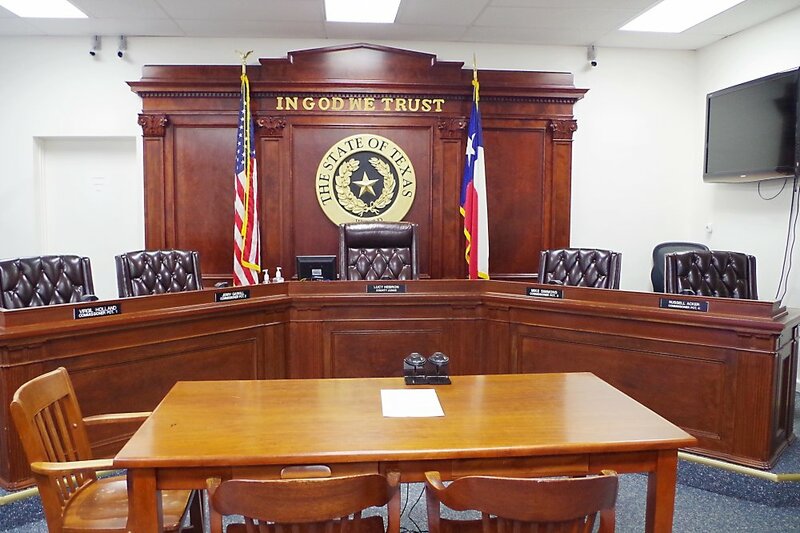 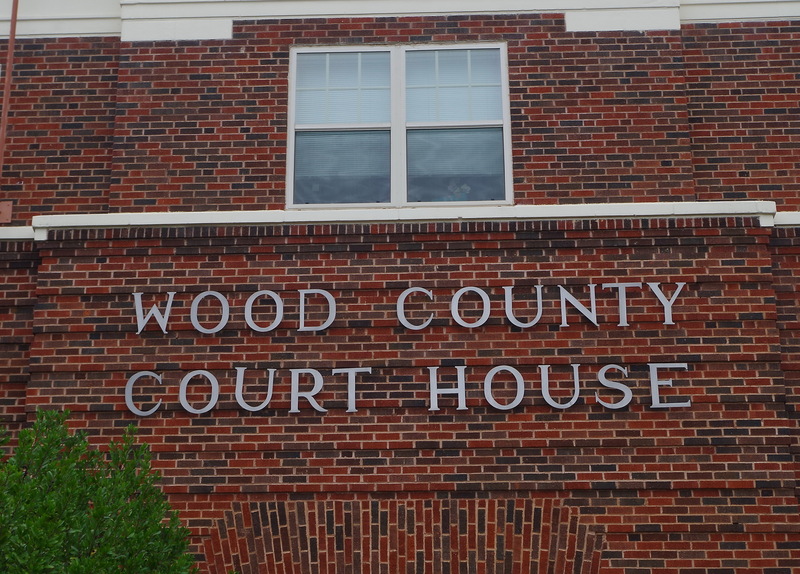 Wood County is named for George Tyler Wood, who was the second governor of Texas from 1847 to 1849. 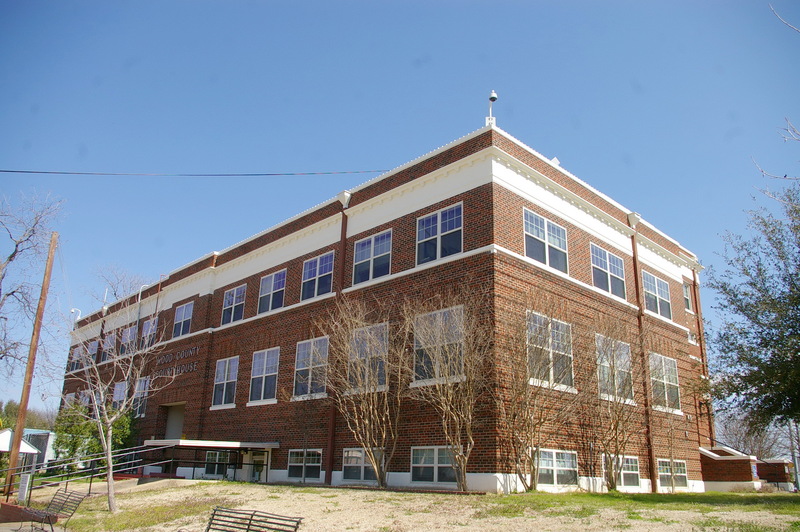 Description: The building faces east and is a three story red-brown colored and concrete brick structure. 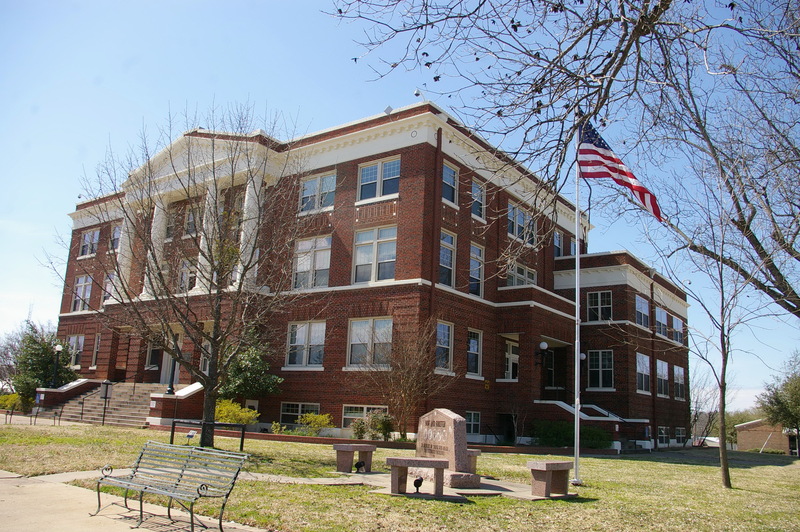 The building is located on landscaped grounds in the center of the city. 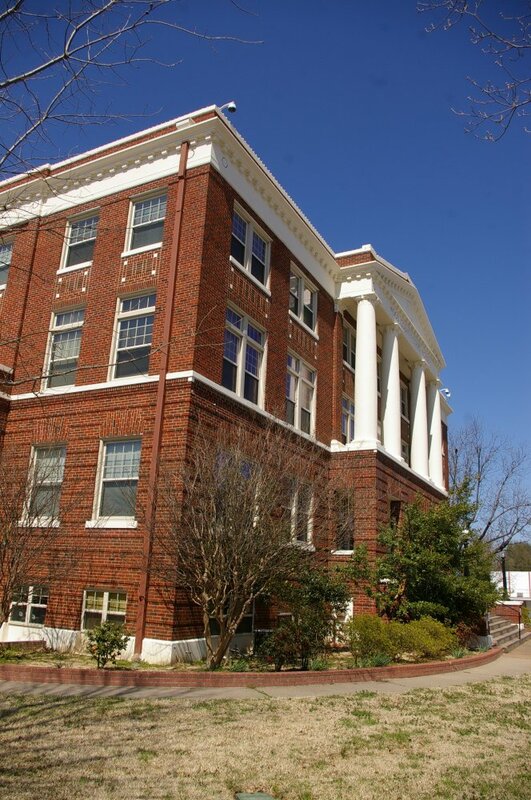 The east front has a large portico with rectangular openings on the first story. 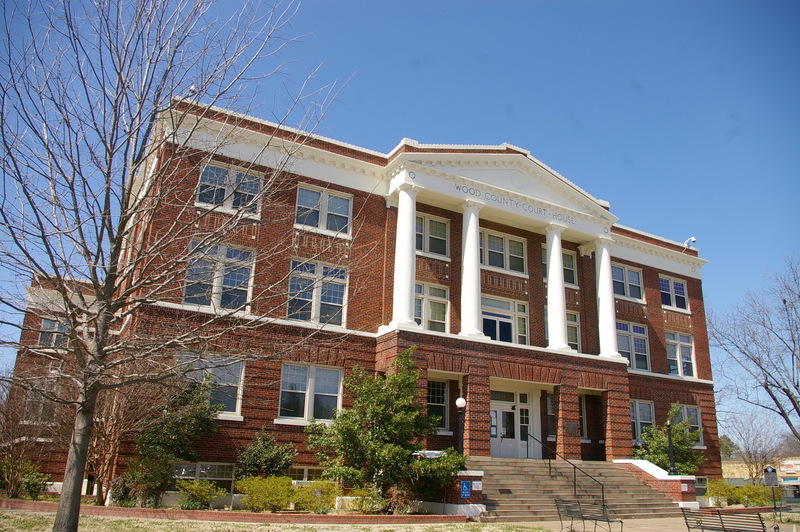 Four white colored columns rise from the second story to the top of the third story with pediment above. A white colored cornice runs below the flat roof line. 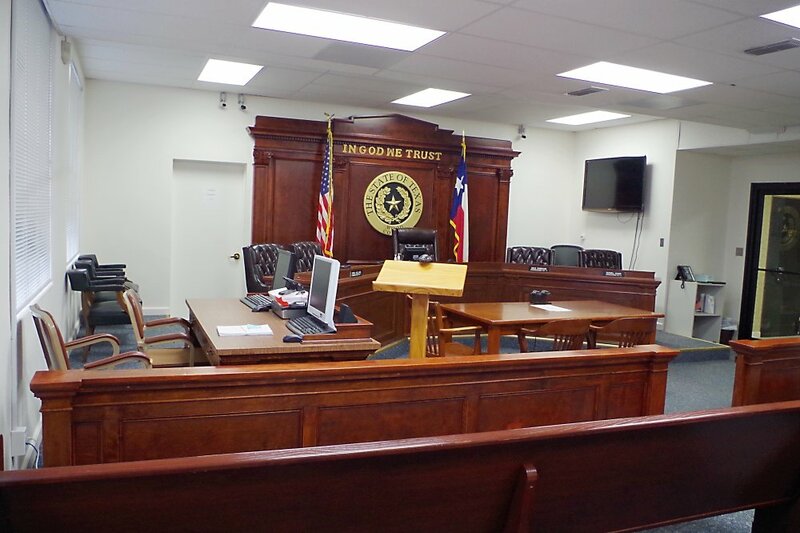 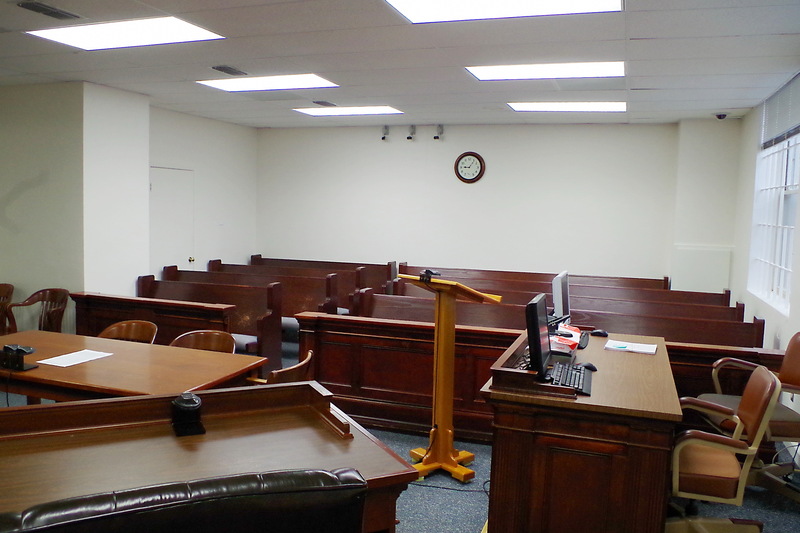 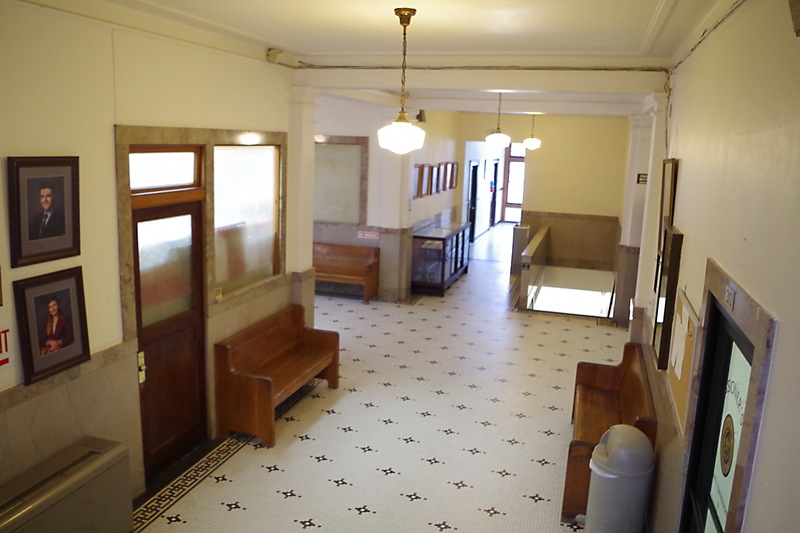 The courtroom is located on the south side of the second story. 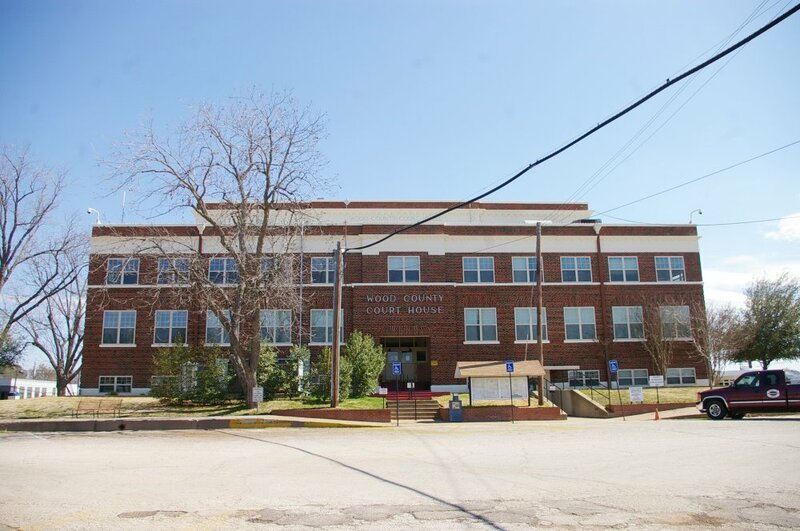 An addition was built on the west side in 1949. The architect was Charles T Freelove. 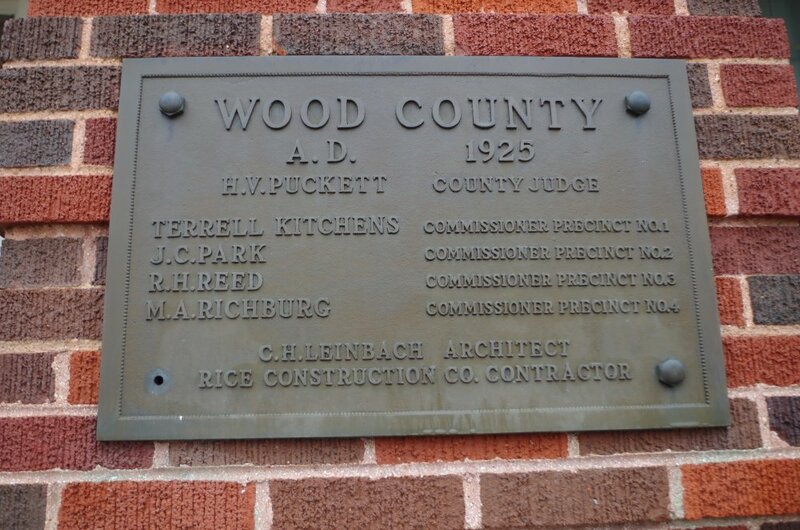 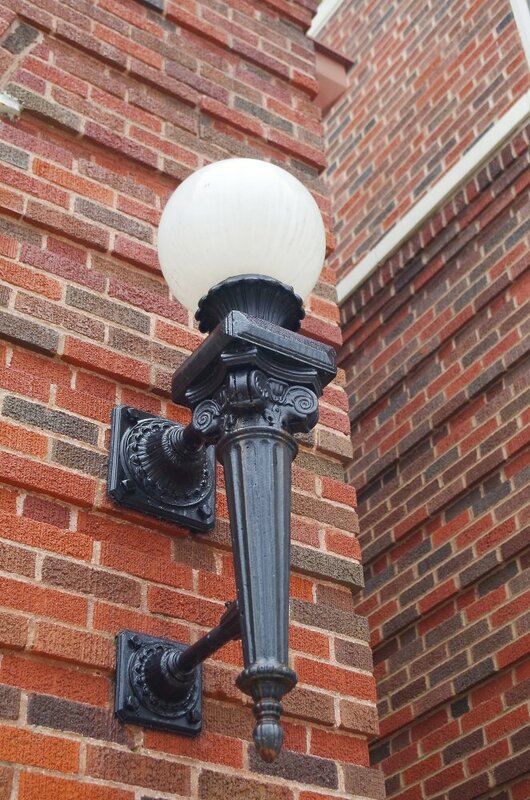 See: The contractor, William M Rice of Amarillo, also constructed courthouses as W M Rice Construction Company in Bailey County, Briscoe County, Cochran County, Freestone County, Limestone County, Lipscomb County, Oldham County and Parmer County and designed the courthouse in Lynn County.. Note: The first courthouse was a log cabin built in 1851. 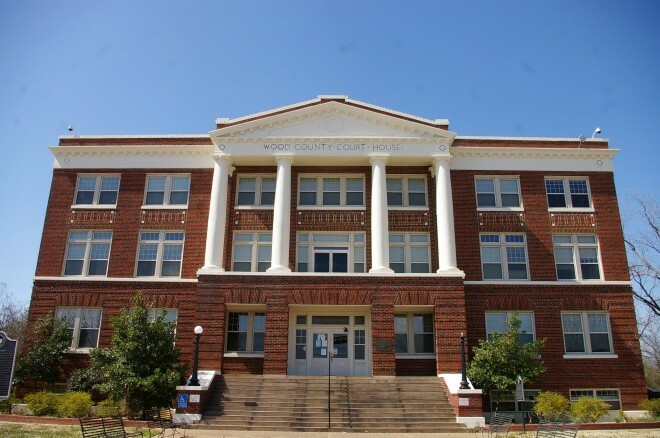 The second courthouse was a two story frame structure built in 1854 and which burned in 1878. 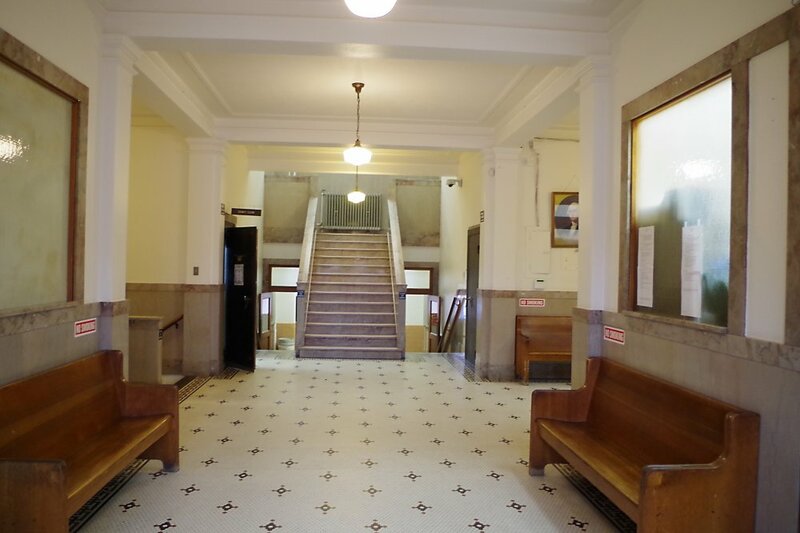 The third courthouse was a brick structure designed by Frederick Ernst Ruffini in 1883 and which burned in 1924. 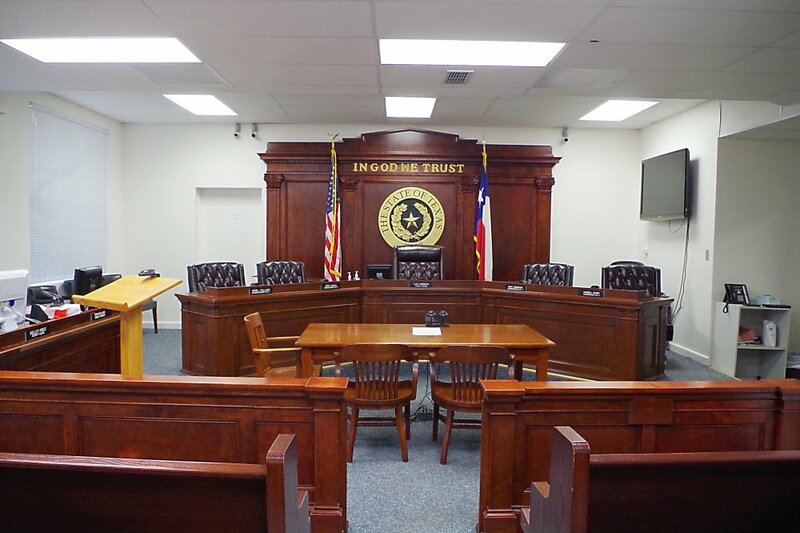 The fourth and present courthouse was constructed at a cost of $313,315.